“95% of our illnesses are related to life-style choices, stress, and a toxic environment”, says Dr. Bruce Lipton. By focusing on our breathing, our life force, we access the present moment, the first step to calm the mind and strengthen our immune system. Why yoga? Yoga makes you feel better. Yoga creates healthy individuals. We integrate the five principles Proper Exercise, Breathing, Relaxation, Diet and Meditation. This way we build a balanced body, mind and spirit, and a healthy relationship with ourselves. Empowering us to overcome obstacles, and strengthening our self esteem. Marie Glad has been teaching yoga for seven years. She combines different disciplines (Hatha Yoga, Mindfulness, Power Yoga, Kundalini Yoga, Pregnancy Yoga, Sound Yoga, Yoga as Medicin) to create tailored, gentle but powerful sessions. In the classes we balance our yin/yang, contemplation/action, female/male, etc sides. The teachings are based on the five core principles of Sivananda Hatha Yoga. Our physical body is meant to move and exercise. Yoga Asanas (physical postures, movements) are like mediation in motion. If our lifestyle does not provide natural motion of muscles and joints, then disease and great discomfort will come with time. Based on Hatha yoga, we alternate strengthening and softening movements of the whole body with various postures in a relaxed tempo. These are coordinated with breathing techniques and concentration to develop better body control. By practicing yoga we increase our flexibility, blood circulation, muscle strength, concentration and strengthen our body image and self esteem. In time we learn to better cope with stress, anxiety and tension and we learn to understand the connection between body, mind and soul. The body is as young as it is flexible. Yoga exercises focus on the health of the spine, its strength and flexibility. The spinal column houses the all-important nervous system, the telegraphic system of the body. By maintaining the spine’s flexibility and strength through exercise, circulation is increased and the nerves are ensured their supply of nutrients and oxygen. The Yoga Asanas also cleanse and strengthen the internal organs and the endocrine system (glands and hormones). Yoga is a beautiful route to healthy living. We learn to use the lungs to their maximum capacity and how to control the breath. Proper breathing should be deep, slow and rhythmical. This increases vitality and mental clarity. Mostly we use only 20% of our lung capacity for breathing. Babies breathe with their whole bodies. As we grow up and pressure arises in our life the breathing becomes often shallow, barely expanding the ribcage. Through proper breathing we expand our space and confidence. We straighten out hunched shoulders by opening up the chest and release tension in the back and neck by allowing the oxygen to increase. In classes we learn full Yogic breathing, beginning with a deep breath and continuing the inhalation through the intercostal and clavicular areas. We balance the sympathetic and parasympathetic nervous systems and prevent stress related diseases. Prana, or life force / subtle energy of the vital breath is the most important concept with good breathing. Working with our prana helps us to calm the mind and control stress. Breathing exercises are called Pranayamas, which means to control the Prana. More of our energy is spent in keeping the muscles in continual readiness for work than when the actual work is done. It’s the result of the fight and flight society we live in. Many have even forgotten that rest and relaxation are nature’s way of recharging. When the body and the mind are constantly overworked, their natural efficiency to perform work diminishes. Even while trying to rest, the average person expends a lot of physical and mental energy through tension. Much of the body’s energy is wasted. By relaxing deeply all the muscles we can thoroughly rejuvenate our nervous system and attain a deep sense of inner peace. We use three methods to achieve a good restoring relaxation: “Physical”, “Mental”, and “Spiritual” relaxation. Physical relaxation first begins with the toes and then moves upward. We use thoughts/the mind to send messages to the muscles to relax. Then, slowly, messages are sent to the kidneys, liver and the other internal organs. In mental relaxation we use the slow, deep and rhythmically breathing to calm the mind. As long as we identify with the body and the mind, there will be worries, sorrows, anxieties, fear and anger. These emotions, in turn bring tension. In spiritual relaxation we practice to see the interconnected reality and step away from our chasing ego. The deep connection with a greater intelligence helps us to find the place of the all-powerful, all-peaceful and joyful self within. Besides being responsible for building our physical body, the foods we eat profoundly affect our mind. When we practice yoga we prefer pure, simple and natural foods that are easy to digest and promote health. Nutritional requirements fall under five categories: protein, carbohydrates, minerals, fats and vitamins. One should have a certain knowledge of dietetics in order to balance the diet. Eating foods first-hand from nature, grown in fertile soil (preferably organic, free from chemicals and pesticides) will help ensure a better supply of these nutritional needs. Processing, refining and overcooking destroy much food value. Many people worry about whether they are getting enough protein, but neglect other factors. The quality of the protein is more important than the quantity alone. Dairy products, legumes, nuts and seeds provide the vegetarian with an adequate supply of protein. For maximum body-mind efficiency and complete spiritual awareness, Yoga advocates a lacto-vegetarian diet. Consider that any change in diet should be made gradually. We become what we think. As Gandhi said: “Your beliefs become your thoughts, Your thoughts become your words, Your words become your actions, Your actions become your habits, Your habits become your values, Your values become your destiny.” Positive and creative thoughts will contribute to vibrant health and a peaceful, joyful mind. When the surface of a lake is still, you can see to the bottom very clearly. This is impossible when the surface is agitated by waves. In the same way, when the mind is still, with no thoughts or desires, you can see the “Self” and go beyond the mind. This is the state of Meditation. Meditation is the most powerful mental and nerve tonic. The mind becomes calm and steady. It opens the door to intuitive knowledge and realms of eternal bliss. All ordinary experience is limited by Time, Space and Causation. Our normal awareness and understanding do not transcend these bounds. The meditative state transcends such limitations. In it there is neither past nor future, but only the consciousness of “I am” in the eternal NOW. It is only possible when all mental modifications are stilled. The closest analogous state that we can experience is deep sleep, in which there is neither time, nor space, nor causation. Meditation, however, differs from deep sleep, for it works profound changes in the psyche. By curbing and stilling the oscillations of the mind, meditation brings mental peace. On the physical level, meditation helps to prolong the body’s anabolic process of growth and repair, and to reduce the catabolic or decaying process. Ordinarily the anabolic process predominates until the age of 18. From 18 to 35 there is balance between the two, and after 35 the catabolic process dominates. Meditation can significantly reduce the catabolic decline. This is because of the innate receptivity of the body cells. Each of our body cells is governed by the instinctive subconscious mind. They have both an individual and a collective consciousness. When the thoughts and desires pour into the body, the cells are activated; the body always obeys the group demand. It has been scientifically proven that positive thoughts bring positive result to cells. As meditation brings about a prolonged positive state of mind, it rejuvenates body cells and retards decay. If you meditate for half an hour daily, you will be able to face life with peace and spiritual strength. Marie teach both groups and individuals at retreats, in offices, class rooms or at your home. In Sound Meditation we explore sound in a meditative and relaxed way. Surrounded by sound we dissolve tension and co-create a space for self empowerment, harmony and inner/outer peace. 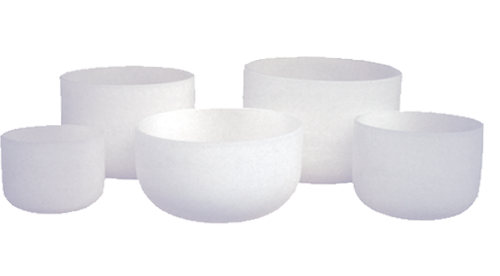 We work with quartz crystal singing bowls, the voice and other complementary instruments. Focus will also be on breathing and powerful healing mantras. Voice yoga, also called Nada yoga is internal massage using vibrations from your own voice. Nada in Sanskrit means ‘sound’ or ‘flow’. Yoga means ‘union’. The practices of Nada yoga can be seen as the union or flowing into sound. In this yoga form we explore our individual sound and at the same we tune in with the group, and become part of creating a universal harmony. Liberating the voice is also part of the process of finding out “who am I” in this world. In a class we play with sounds. We explore our vocal expressions from the heart, transforming our own emotions and sound into form. We find a space for self empowerment and a place for inner peace. Using the power of our own vocal tones we can physically, mentally and emotionally dissolve anxiety and tension. We use easy vocal exercises and work with the power of kundalini to release blocked energy along our main chakra system. 2015 Workshop Facilitator Training, “Inner Action”, RWRW at Schumacher College, UK. Mantra meditation, TM, Vipassana, Raja Yoga meditation and Mindfulness meditation. 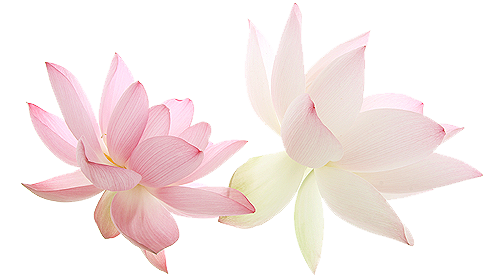 "Marie, your yoga was loving and joyful. I learned to breathe, to be here, right now, simply to reside both physically and spiritually in myself. I always surprised myself with your guidance. I became stronger, smoother, safer and happier. Many of my fears and pain said "thank you and goodbye" during and after your yoga sessions. The combination of soft, slow, and quiet movements with some more challenging physical exercises was always balanced and enjoyable. Thanks Marie for the tool I got from you."